Are you constantly being asked to grow thicker skin? then you need to keep on reading. begin to feel dizzy, sick, and exhausted after being around too many people. crave distance from the giant waterfall of emotions, in a bid to recharge. If the above scenario applies to you, then you just might be an Empath. • What It Means To Be An Empath. • How To Block Out Unwanted Thoughts And Emotions. • How To Thrive As An Empath. personal relationships, experience greater work success, and build your self-confidence. 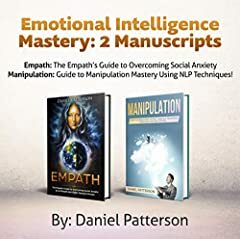 Manipulation is exactly the book you’ve been looking for! P.S. Don’t forget to drop a review if you enjoyed it.